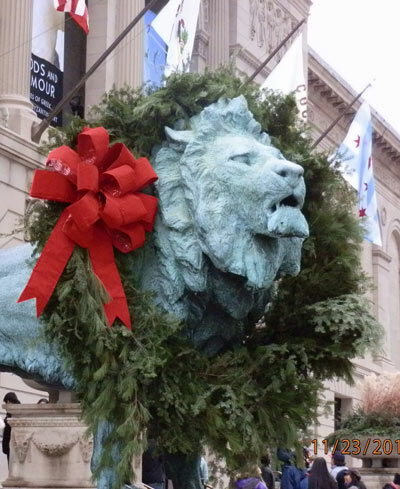 Confirming what many art aficionados and museum-goers already knew, TripAdvisor just gave the Art Institute of Chicago the number one spot in its Travelers' Choice Awards, ranking it not just the top museum in Chicago, but the top museum in the world for 2016. TripAdvisor is well known for being one of the top travel resources available today, and these awards are based on the millions of reviews submitted to the site. According to TripAdvisor, an algorithm takes into account the quantity and quality of the reviews for a 12-month period to determine the rankings. Last year's awards had AIC at number one in the U.S. and number three in the world, but clearly the museum doesn't rest on its laurels and has continued to impress visitors with its permanent collection of 300,000 works of art housed in eight buildings, as well as its impressive roster of special exhibitions, including the currently showing Magritte: Mystery of the Ordinary, 1926-1938. "This has always been a world-class institution, and with the addition of the modern wing… wow!" "My most favorite museum in the world! I was surprised to see a spectrum of important paintings from all over the world during my first visit there." "One cannot go wrong here. Everywhere you turn are wonderful and important works of art." "There's something for everyone. A modern wing, more classic areas, sculpture, painting, ancient Greek and Asian art.... and plenty of pieces that you've seen hundreds of times in books and in the media. There they are, right in front of you - the real thing!" "This is truly an awesome art museum. It has some of the very best and most admired works in the world right there." We at CityPASS are proud of our partnership with the Art Institute of Chicago and congratulate them on this impressive honor!